When in doubt, consult your veterinarian to better understand the specific needs of your pet. Pet owners will do just about anything they can to keep their furry friends happy and healthy, which is why the vast majority of pet owners say they’re concerned about the ingredients in their pet’s food. Based on a quality and safety Purina survey conducted in 2017, 84 percent of pet owners are concerned about the ingredients in their pet’s food, and more than four out of five pet owners are likely to read the list of ingredients in pet food before buying it. Yet many dog and cat owners are often confused about what constitutes safe and healthy food, have misperceptions about ingredients, and aren’t clear about what types of nutrients their pets need. A lot of thought has been put into the ingredients in the pet food you see on shelves and online, including many backed by full teams of scientists who work every day to create nutritional breakthroughs that will help pets of all ages live their best life. A lot of research goes into developing food – both for pets and humans – and much of this innovation was born out of necessity. Since pets clearly have different nutritional needs than their owners, pet food scientists have developed complete and balanced meals that give pets all the nutrition they need in one product. 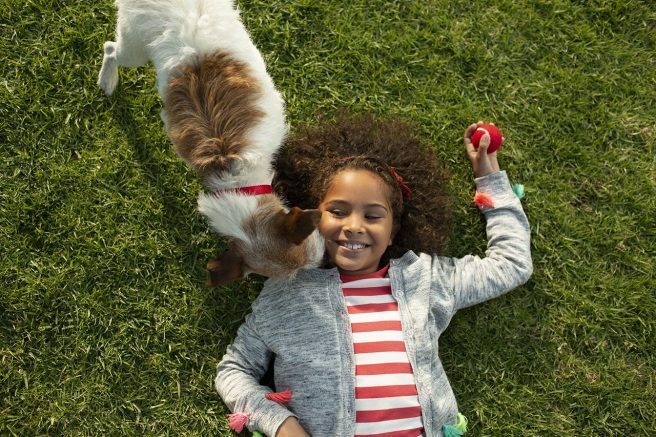 Pet food companies like Purina employ hundreds of scientists to research different ingredients, combinations of ingredients and the nutritional needs of pets of different breed, size, age and lifestyle. Ultimately, they look beyond the latest ingredient fad and develop pet food based on a smart blend of nutrients that supports pets’ overall health. When it comes to feeding your pet, it’s important to understand that high-quality nutrition starts with nutrients, not just ingredients. Although the level of research may be similar among brands, the actual formulas can be quite different. To keep your pet feeling their best, try to match their food with their lifestyle and activity level. For example, if your dog is your daily running buddy, make sure they are getting enough protein and fat in their diet – try feeding them a formula like Purina Pro Plan Sport. Be the first to comment on "The real science behind your pet’s food"